Kirstie Allie is over it. And she wants everyone to know it, too. The hat thing, on the other hand, is NOT working for me. Tags: actresses, Fashion, Fashion police, hats, hollywood, mischa barton, rachel bilson, the o.c. This is SO ugly, you guys. So ugly. Former O.C. 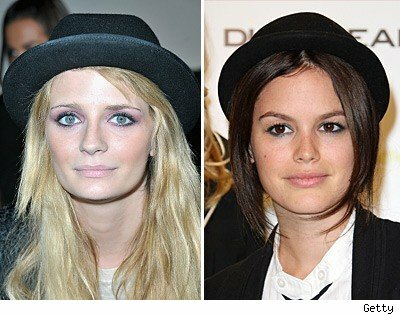 stars Mischa Barton & Rachel Bilson, both in awful hats/hairdos this past week. I’m LOVING the crazy-tall high heel trend. More, I say, MORE!